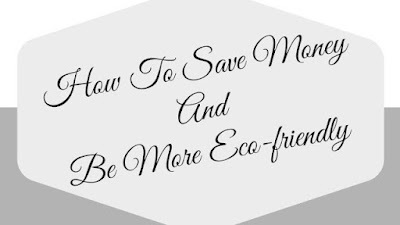 I often write about money saving ideas. I love sharing them with my readers and in turn I enjoy adding my own money saving ideas to the lifestyle that I lead. If I am able to save money in any way, I will. I have been known to do the most silliest thing's for the sake of saving a few pounds however saving a few pounds makes me happy and the money which I have saved can be spent on something else that is more worthwhile to us as a family. Recently Legal & General wrote an article that provided tips on how to save money on water, electricity and heat bills and in turn be more eco-friendly. 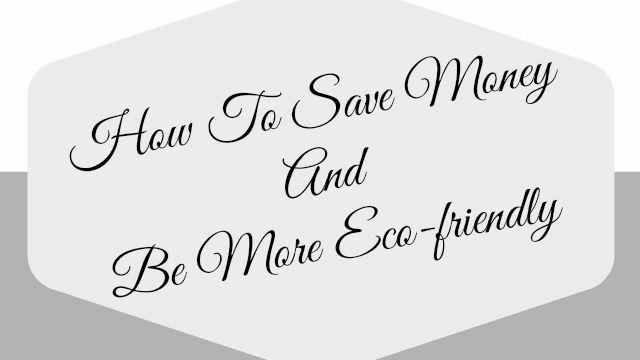 Due to this post, it got me thinking how we already save money around the home and it got me thinking about new ideas that we could try and do as a household to save more money around the home. 1. Earlier this year we received a new washing machine. The new washing machine was a blessing in disguise. Not only was it a newer model that was quiet when running but it also included many fantastic features which in turn have saved us money. The new washing machine fits more clothing inside it, due to this I am doing less loads of washing a week and in turn this saves me money on water and electricity. The washing machine also has other fantastic features such as an eco wash, again this is a fantastic feature to have which saves me money. 2. For years I had a tumble dryer. I took the tumble dryer for granted and instead of putting a load of washing in the dryer at a time, I used to put one item in the dryer at a time. Over a period of time, It was easy to see how much money I was wasting whilst using the tumble dryer so I decided to look out for a different way of drying my clothes. In the summer I found that it was easy to get my clothing dry. I would put a clothes airier outside in my garden and I would use a washing line to dry the clothes. This method cost me nothing however in the winter my clothes would often not dry so I decided to invest in a Dry Buddy. I have had a Dry Buddy for 2 years now and after looking back at my electricity usage, it is easy to see that the Dry Buddy uses a lot less electricity than a tumble dryer. Not only does the Dry Buddy dry my clothes, it also warms up a room on a cold day. 3. One of my biggest bills over the past few years has been for my gas, the usage often happens in the winter when we are trying to stay warm. Last year I decided to add radiator reflectors to my radiators. At first I was very sceptical about how they worked however after spending just a few pounds on the reflectors and installing them myself, it is easy to see how much of a difference they make to my home. By adding the reflectors to all my radiators in my house, the heat which comes out of the radiators does not absorb walls however it bounces back into my home meaning over time I use less gas due to not having to heat my home so much as the heat which could have been lost is staying in my home. 1. Recently our water bill has gone up. I believe it has gone up due to the fact we have been watering our plants a lot in the summer. The sun has been out, the weather has been hot and my plants have been dying. I have watered my plants most nights and I dread to think how much water I have managed to waste. To improve our water bill, I would love to install a water system in our garden so we are able to save our own water which is free when it falls from the sky. If we managed to collect our own rainwater, we would waste less money as we would not be using a large amount of tap water. 2. Although we are very money savvy, we do not produce anything ourselves in our home that would save us money. In the future I would love to install solar panels in our home so we are able to make our own energy, whilst we make our own energy I would also love to make energy for others. If we were able to make our own energy we would loose a large bill monthly. There are plenty of ways of getting solar panels for free and this is something which I would love to look into in the future. * In collaboration with Legal and General insurance. I think I need to look into radiator reflectors this year, our gas bill is extortionate in the winter! The radiator reflectors are very good. Thanks for the reminder. I have some radiator reflecters that I forgot to fit. Tumble dryers are only helpful for towels and bed sheets and other tricky large items. A clothes horse works well if you don't wash your clothes right before you want to go out! Great tips. I want to try that dry buddy! The dry buddy is very efficient and also when drying the clothes it makes the room smell nice too. I recently moved back home with my Mum after graduating and she practices a lot of money saving habits. It wasn't until she showed me the bills that I understood why. It's so easy to leave things turned on and plugged, but it literally DRINKS the electric up. I love the idea of the rain water! Thats something I might mention to mum, I'm sure she'd be up for trying g that! I used to use loads of electricity when I was younger and living at home. It wasn't until I had to pay the electricity bill that I became more conscious of usage. I live in a flat and always try and use an airer even though we have a tumble dryer. If you have a garden it's important to use the line to dry clothes on nice days I think. I agree with you. I love seeing the washing blowing in the wind and then bringing it indoors dry for free! Even though we are not on a water meter we still have water butts to collect rain water. 5 in total, attached to the house, greenhouse, garden shed etc. and it is very rare that we need to use tap water for the garden. Well worth the investment. That is just what we need to do Teresa. Thank you for commenting Anu. I'd love to try one of those dry buddies! We rarely put our heating on even in winter (because we are mean parents apparently ;-) ) so drying on the radiator isn't always an option for us. I personally think the Dry Buddy is well worth the initial outlay. We rent our home but when we buy I would totally look into getting solar panels. We got a new washing machine a few months ago and it is amazing! I love it! Our new washing machine is very efficient. I've just moved in to a new house with a tumble dryer, and I must admit I'm constantly using it! I know it's so expensive, but I just love the way my washing comes out... Whoops!! My parents have just got a greenhouse, and they are really enjoying it, especially with little ones!! We would like a greenhouse. I think Maxwell would love to plant seeds and watch them grow. It's worth reading your post! You've pointed out some really useful ideas in order to be eco-friendly and zero wasters!